If you want the perfect combination of quietness and peacefulness and the busy vibes of the city, you are at the right spot! The apartment is in a very small village near the beach (200m) and in only 15 minutes drive you are in the very beautiful medieval city Bruges. The apartment has everything you need: a fully equiped kitchen, 3 bedrooms (2 large double beds and 1 bunk bed), a bathroom, seperate toilet, TV, games, garden, own garage and washing room. Bed linen and towels are on demand, extra charge or 30 euros for all the beds. The aparment is on the 2nd floor (no elevator) in a very quiet building. Even though the building itself is already quite old, the apartment itself HAS BEEN completely renovated. A very clean and modern apartment! We are a family of 6 and this apartment was wonderful for us. We had plenty of space and everything we needed while we were there. The apartment was very clean and modern. The owner was quick to respond and very gracious to us. There was plenty of street parking right in front of the apartment. There was a grocery store just a 5 minute drive down the road. The walk to the beach was quick and it was peaceful walking around the very quiet neighborhood. There was a playground on the beach for the kids and the view was beautiful. We would stay here again if in the area! Gezellig appartement voor 6 personen in Zeebrugge, op wandelafstand (200m) van het strand. Het appartement had alles wat je nodig hebt voor een verblijf met 6 personen. Laat je niet afschrikken door het "gedateerde" gebouw, je verwacht niet dat er zich een volledig gerenoveerd appartement in bevindt. Wij waren alvast meer dan tevreden en had er een gezellig kort verblijf (3 overnachtingen) tijdens de nieuwjaarsperiode. Beds are comfortable, the children room is also nice and can fit even two adults and a small kid. The huge sandy beach is just 3 minutes away, not at all crowdy and mostly with traditional small houses and buildings. 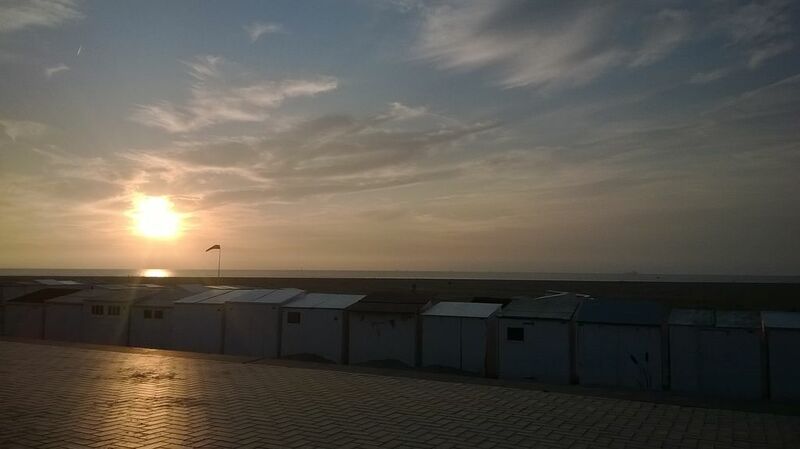 Location proche de brugge de la côte et des pays bas...idéal pour découvrir la région....Très bel appartement à 5min de la plage,spacieux et disposant de tout le nécessaire.tres bonne communication avec le propriétaire.. .une adresse à retenir. Très bel appartement propre et calme disposant de toutes les commodités propriétaire sympathique. The touristic hotspot Bruges is only 15 minutes drive from Seabruges. The ideal combination of relaxation at the beach and city tripping! Extra 30 euro cash bij aanvraag van bedlinnen / handdoeken. Extra 30 euros cash for towels and sheets.